» Does Art Need a Pope? A discussion around the exhibition Popes with the participation of Łukasz Baksik, Father Adam Boniecki and Agnieszka Tarasiuk will be devoted to the widespread use of the images of the Pope in visual culture. The invited guests will try to raise to the challenge of the issue of contemporary religious art and the controversies that works devoted to the Pope can create as well as reflecting on the phenomenon of the Pontiff. Łukasz Baksik – an artist, a photographer. The author of such projects as Jewish Footstones for Everyday Use, documenting the ways in which Jewish footstones have been used as building material, and The Second Course Polish. 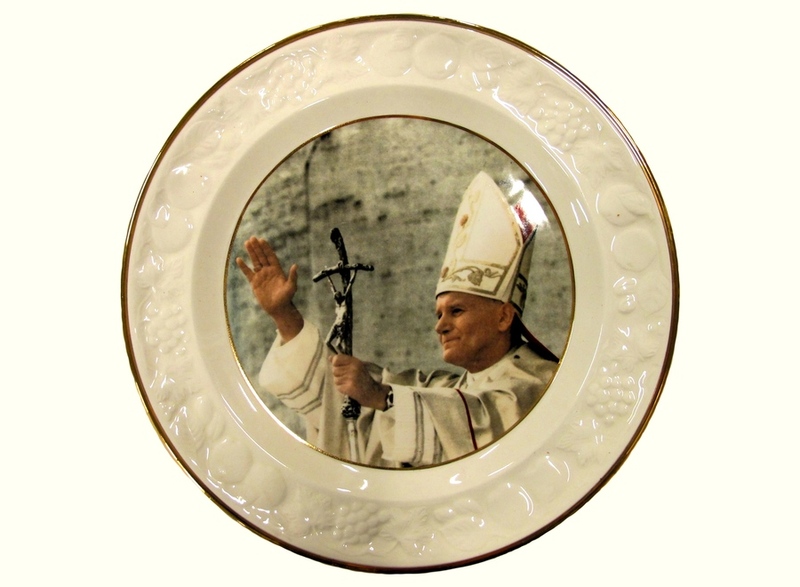 Currently working on the project JP II Cummulation, in which he uses his collection of more than 200 objects connected with Pope John Paul II. Father Adam Boniecki – an ex-editor of the Catholic weekly Tygodnik Powszechny and L'Osservatore Romano. This year he celebrated his 80th birthday and the 50th anniversary of his first publication appearing in Tygodnik Powszechny. After his superiors banned Father Adam from appearing in the media in 2011, there has been an increased interested in him; he remains an active person and an important voice in the public debate. Agnieszka Tarasiuk – an artist, curator and social worker. Graduate of the Academy of Fine Arts in Warsaw. During 2008–2010, the director of the Centre for Creative Work in Wigry. Currently, the head curator of Xawery Dunikowski Museum of Sculpture at the Królikarnia Palace in Warsaw. Editor of the publication The Open Throne: Contemporary Art vis-à-vis the Phenomenon of John Paul II, which came into being in connection with the exhibition planned in Wigry, which, however, never took place. The authors of the book were interested in the unofficial spreading of the papal cult with its artefacts, as well as in the very fact that there have been both the official and the grassroots channels of activity. The never-to-be exhibition was going to be produced by the team: Tadeusz Bartoś, Sarmen Beglarian, Sebastian Cichocki, Jagoda Hernik Spalińska and Roman Pawłowski.